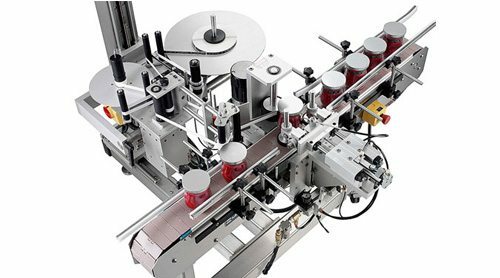 This system employs “Trap and Spin” orienting technology to apply a label to a desired position on various sized round containers. It can also be used for optical spotting for handles, tabs, etc. It features an Allen Bradley programmable controller for product controls, a clean compact design, pneumatics by PHD and SMC, and a variety of optical sensing options.